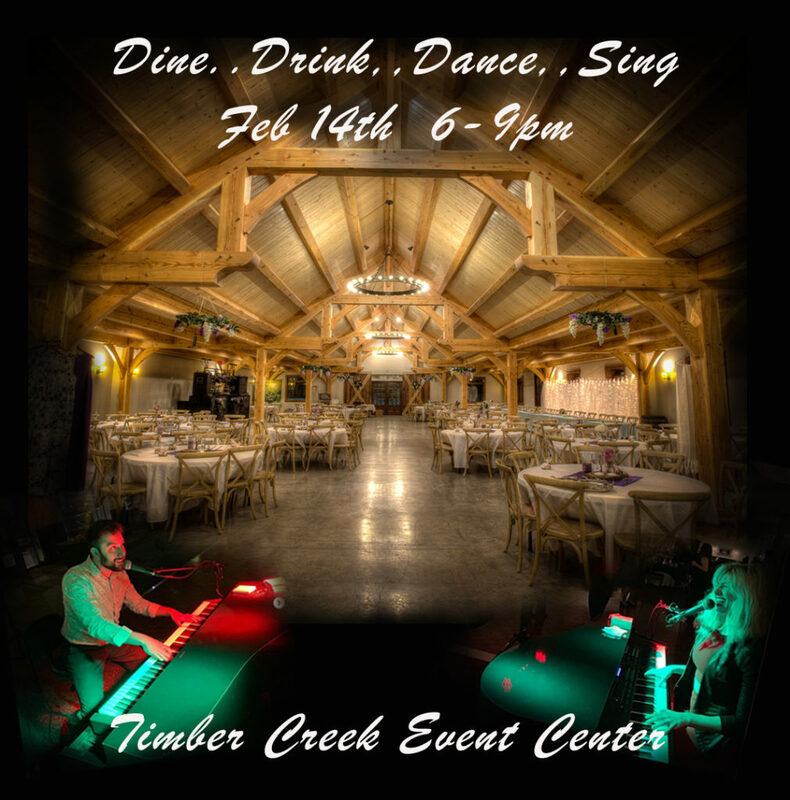 Why wait hours to be seated on Valentines day when you can eat with us at the newly remodeled Timber Creek Event Center and be entertained at the same time. No waiting. Doors open at 6pm, dinner served buffet style by Brancatos KC from 6:30-7:30pm as guests arrive, highly rated Felix & Fingers dueling piano show from 7pm to 9pm. Cash bar available. Complementary tea, water, and coffee. Tables seat 8 so grab a group of friends and join us. Tickets available on a per guest basis or may be purchased with a discount per table. Tables seat 8. 21 years & older please. Tickets in advance only.